Vinalhaven, population 1,200, is a major lobster fishery and summer colony. It’s reachable via a 75-minute ferry from Rockland. Running on Vinalhaven is a treat, given its nearly 50 miles of traffic-free roads. We’ve put together two routes: a 4-mile downtown loop, featuring the waterfront and nearby preserves; and a 9-mile ’round the island’ loop. There are also a number of inland roads on the northern part of the island, which are mainly wooded. Waterfront Loop. 4.1 miles. A great run right from the ferry terminal, with water views and preserves. Head east along Main St. for 0.5 miles and turn RIGHT on Water St., which turns into Atlantic Ave. Do a quick jaunt out to the grass fields of the Lanes Island Preserve. Double back and turn RIGHT on Round the Mountain Rd., staying LEFT on Footbridge Rd. and East Boston Rd. It will turn into School St., then Main St. At the intersection with W. Main, turn RIGHT on High St., passing the Historical Society. At the Recreation Center, CROSS Dog Town Rd., continuing on Pond St. Cross Dog Town again, and go LEFT on Sands Rd., where the last 0.5 miles follows the water back to the ferry, with a couple of points to jog out to. Longer Loop. 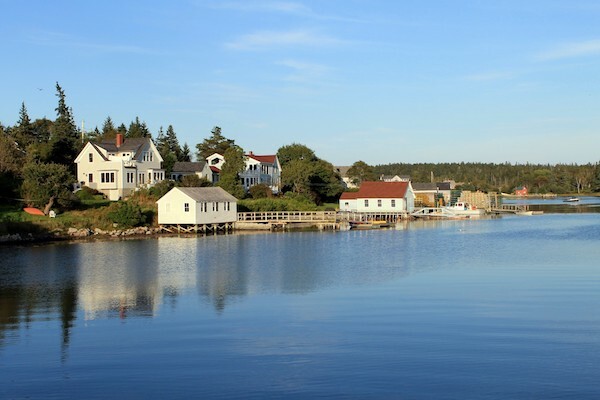 One can do some serious long runs on Vinalhaven, but this is an easy-to-follow 9-miler that gives a good sense of the island. From the ferry terminal, head east on Main St., and follow the main road as it turns into E. Main St. and Pequot Rd. At the 2.6 mile mark, cross Round the Island Rd., and take Pooles Hill Rd., and then turn LEFT on Poor Farm Rd. You’ll run into Round the Island Rd., heading straight for 1.8 miles, then turn LEFT on N. Haven Rd., returning to the center via Dog Town Rd. and along the water on Sands Rd. To save 1 mile, take Round the Island Rd. instead of Pooles Hill/Poor Farm. There are other options to vary and extend the loop.